What an odd blog post title, but it’s just about a few things worth mentioning that didn’t make it into their own blog posts. You might have already seen some on Bleistift’s Facebook page. 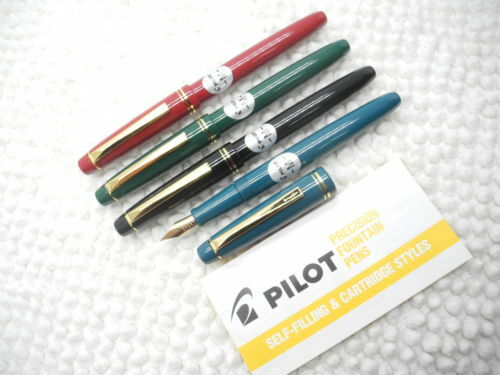 It’s quite sad to read that the Pilot 78G has been discontinued. I have been using one for a while and really like it. There were rumours about it being discontinued for a while, but it now seems to have come true. You can still get them cheap on eBay, especially the ones with M or B nibs. I just bought a blue one with a fine nib. More expensive than many other 78Gs, but still not more expensive than a Lamy Safari. Bruce send me this link to a video where Roald Dahl, probably most famous for his books for children, talks about sharpening pencils. A very different way of sharpening pencils: a nail gun with a built-in pencil sharpener on Reddit. When our little one was watching CeeBeebies I noticed that the episode of Sarah & Duck he was watching also had some content for stationery fans. It was about a glow-in-the-dark pencil. 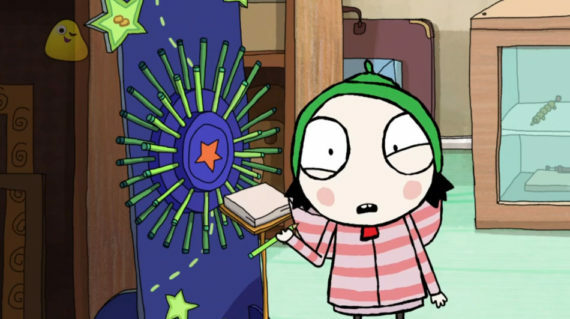 I believe that the use of the eBay image and the images shown in this blog post, taken from the third episode pf the third season of Sarah & Duck, falls under “fair dealing” as described by the UK Copyright service.